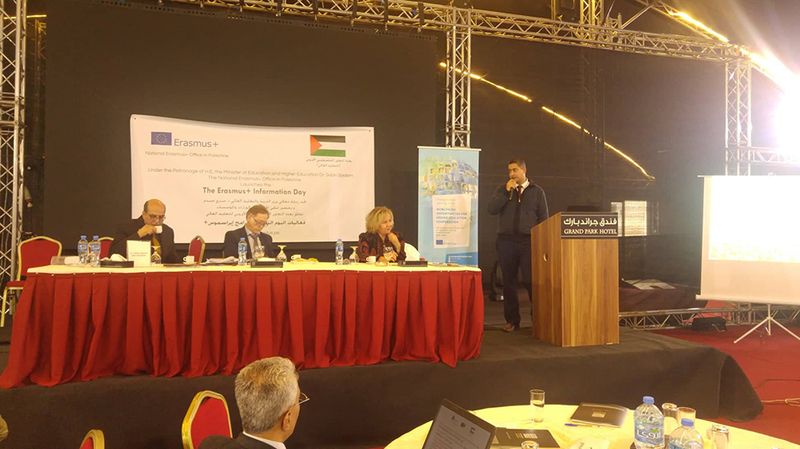 Dr. Amir Khalil, the external academic relations officer at Birzeit University, took part in the Erasmus+ Information Day, held by the National Erasmus+ Office in Palestine, on November 12, 2018. The information session featured representatives of Palestinian higher educational institutions, the Ministry of Education, and the European Union Delegation to the West Bank and Gaza Strip. The session featured awards given to universities which secured project funding from Erasmus+. 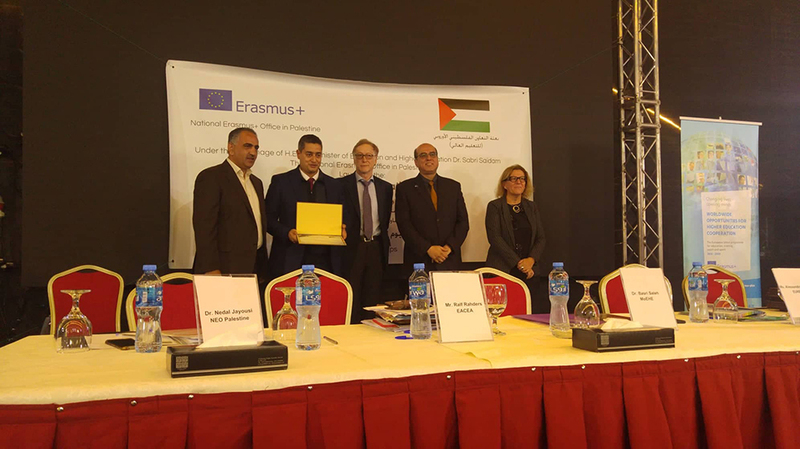 Birzeit University, one of the leading Erasmus+ partners in Palestine, was one of the awardees, with its most recent Erasmus+-funded project, the Erasmus+ Jean Monnet Network, beginning implementation in November of 2018. The Jean Monnet Network project aims to establish a research center on EU-Middle East relations and interactions, providing research projects and studies on the topic as well as specialized seminars and courses. During the session, Khalil, accompanied by Birzeit University students and professors, gave a presentation on the Erasmus+ student and faculty exchange program the university. Since 2017, Khalil said, 70 Birzeit University students and faculty members have taken part in the Erasmus+ exchange experience with Erasmus+ partner institutions. The Erasmus+ exchange program, he commented, broadens the horizons of both students and academics - academically as well as culturally - and helps the university to establish connections with international higher education institutions that pave the way for future cooperation in joint research projects and course development.